Two of my favorite loves: Bacon and Chocolates. Now....in ONE! Besides loving Vosges, I absolutely love these bacon and chocolate bars. There is probably part of you going....nope....not going to be good. But trust me, they are amazing. You can find them at Whole Foods, Gelson's, etc. Vosges also offers some great favor ideas for weddings as well. 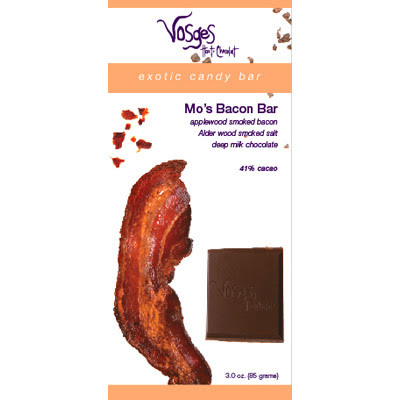 Vosges is amazing and the bacon and chocolate is delicious!